Leaders from the Investor Leadership Network (ILN) and Multilateral Development Banks (MDBs) are pleased to announce the start of discussions to establish a partnership and accelerate their collaboration around ongoing ILN initiatives. After a productive meeting facilitated by the Sustainable Infrastructure Foundation (SIF) this morning in Davos, leaders of the private and public investment institutions are looking forward to seeing their increased collaboration fuel the momentum driving sustainable investment worldwide. 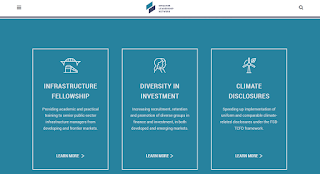 Created in June 2018, under Canada’s presidency of the G7, ILN comprises a group of twelve leading institutional investors, representing over $6 trillion of assets under management working together to facilitate and accelerate collaboration on key issues related to sustainability and long-term growth. 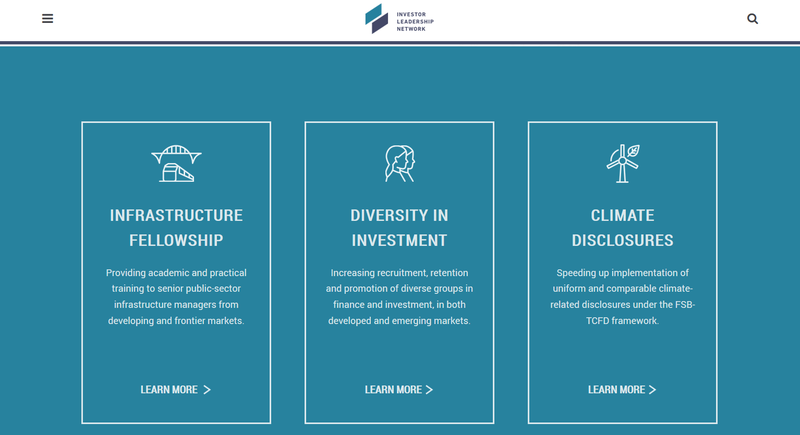 Since its launch, the ILN has focused on three critical issues: capacity-building for sustainable infrastructure development, improved climate change disclosures, and increased diversity in the financial industry. The long-term mindset and overall objectives of the ILN are particularly well-aligned with MDBs’ mandates. Furthermore, MDBs’ unique capacity and experience in sustainable development, as well as their extensive field presence around the world make them natural partners for ILN initiatives. In this context, ILN and MDB leaders consider there is a great opportunity to increase the impact of their respective activities through closer collaboration, active networking and expertise sharing. The parties agreed that upcoming discussions would include the three topics covered by ongoing ILN initiatives and would focus on concrete actions in all regions covered by participating MDBs. SIF, a strategic partner to both the ILN and MDBs, and a key participant in the delivery of the Sustainable Infrastructure Fellowship Program (one of ILN’s 3 initiatives) will continue the role it has played in identifying present and future opportunities for collaboration. As technical discussions will start taking place over the coming weeks, parties have agreed to reconvene as a group during the 2019 WBG-IMF Spring Meetings, in Washington DC, where a progress report will be issued. The meeting was attended by representatives from the African Development Bank, the European Bank for Reconstruction and Development, and IDB Invest, a member of the Inter-American Development Bank Group. The following investors attended on behalf of ILN members: CDPQ, OTPP, Natixis Investment Managers, Generali, CPPIB and OMERS. 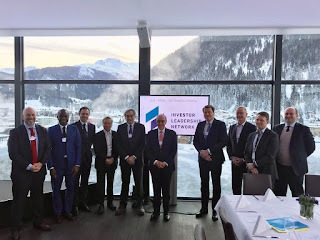 About the Investor Leadership Network (ILN): Launched in 2018 to facilitate and accelerate collaboration by leading global investors on key issues related to sustainability and long-term growth, the ILN comprises a group of twelve investors representing over $6 trillion of assets under management. ILN operates as an open and collaborative platform, with a focus on concrete initiatives under the leadership of member investors. ILN’s creation was a direct outcome of Canada’s 2018 presidency of the G7. About the European Bank for Reconstruction and Development (EBRD): The EBRD was set up in 1991 after the fall of the Berlin Wall to meet the challenge of an extraordinary moment in Europe’s history: the collapse of communism. It is a multilateral bank with 69 shareholders which promotes the development of the private sector and entrepreneurial initiatives in 38 economies across three continents. About IDB Invest: IDB Invest, the private sector institution of the Inter-American Development Bank (IDB) Group, is a multilateral development bank committed to supporting businesses in Latin America and the Caribbean. It finances sustainable enterprises and projects to achieve financial results that maximize economic, social and environmental development for the region. With a current portfolio of $11 billion under management across 362 projects in 22 countries, IDB Invest works across sectors to provide innovative financial solutions and advisory services that meet the evolving demands of its clients. The Investor Leadership Network is an open and collaborative platform for leading investors interested in addressing sustainability and long-term growth. A direct outcome of Canada’s 2018 presidency of the G7, the ILN focuses on concrete actions and global partnerships (click on image). Now, as stated in the press release above, ILN comprises a group of twelve leading institutional investors, representing over $6 trillion of assets under management working together to facilitate and accelerate collaboration on key issues related to sustainability and long-term growth. Michael Sabia, the president and CEO of the Caisse, has a clear vision on a new paradigm for growth and what it means to do sustainable investing right. For him, these aren't mutually exclusive initiatives. 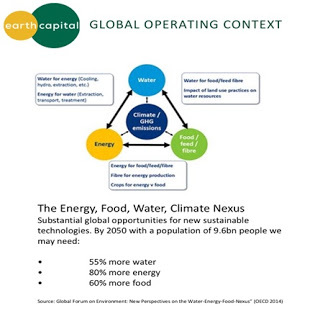 I actually hooked up with Geoffrey and Gordon yesterday afternoon to discuss the latest developments at Earth Capital Partners as they are in the process of fundraising for the new sustainable investing fund. I told Gordon flat out: "It's a lot easier fundraising when you're a brand name private equity fund but the thing is all these brand name funds (KKR, TPG, Carlyle, etc.) aren't experts in sustainable investing nor do they have your experience in this area. Scale might be an issue but your new fund will total $1.3 billion so it's not trivial by any means." Anyways, I like Geoffrey and Gordon, after meeting them and reviewing Earth Capital Partners' documents, I think that at a minimum, investors need to take a meeting with them to see what they're all about. Back to Davos, it's a great place for CEOs of large and powerful organizations to meet and exchange ideas and set some firm objectives. I'm obviously not privy to everything going on there or who attended but there are a few CEOs of large Canadian pensions there and some have made public appearances. Below, Mark Machin, president and CEO of Canada Pension Plan Investment Board, discusses his strategy when it comes to investing in China. Mark also discussed where he thinks the institutional investor belongs in the Davos conversation, company sustainability, investment themes and his investment strategy with Bloomberg's Erik Schatzker. Both interviews are great but I prefer the second one where Mark ends by expressing his concerns about what happens the next time there's a major dislocation in public markets and investors who hold too much private markets are forced to sell at the wrong time to meet their obligations (ie. Mind your liquidity risk!! Truth be told, this will present excellent opportunities for CPPIB if it happens). Third, Ontario Teachers Pension Plan CEO Ron Mock says the fund has a long term plan for China and sees it as " absolutely necessary" to be there. He also spoke with Bloomberg's Erik Schatzker at the World Economic Forum in Davos, Switzerland. Another great conversation, Ron said he still sees "alpha" in active managers in public markets and said some of their managers in their "sizable" hedge fund portfolio had a terrific year in 2018. He doesn't state which hedge funds but I covered some of them when I recently went over 2018's hedge fund winners and losers (like Citadel which Teachers' is a long-term investor in and Bridgewater which they invested in after I invested in back in 2002 while working at the Caisse). Erik Schatzker didn't interview Michael Sabia yet but if he does, I will edit this comment to add the interview. Lastly, Ron Mock took part in a panel discussion on automated markets which Yahoo Finance Editor-in-Chief Andy Serwer moderated. Other panelists included David McKay, CEO of RBC; William Ford, CEO of General Atlantic; and Adena Friedman, President and CEO of Nasdaq. You can also watch it here if it doesn't load below. Keep this point in mind as you watch the panel discussion below because the notion that it's never been a better time to be a retail or institutional investor because costs have come down significantly and there are more choices ignores the fact that structural lower returns and higher volatility are here to stay. Also, I'm very uncomfortable opening private equity, real estate and infrastructure (other than REITs and some publicly listed infrastructure) up to retail investors. I think that will ultimately end up being a total disaster and only large institutional investors should be investing in these and other private market asset classes. Update: On Thursday morning, Mark Wiseman, BlackRock global head of active equities and BlackRock alternative investors chairman and former CEO of CPPIB, joined "Squawk Box" at the World Economic Forum at Davos to give his best advice on active investing and why he thinks the active passive debate is a false dichotomy. Great insights, listen to Mark's comments.